Did you know that this website is now two years old? I set it up on 9 March 2013. Happy birthday "virtual" community group! See what we've achieved since then. So today we had the solar eclipse and the spring equinox, the astronomical start of spring! I had been hoping that it would get a bit darker outside than it did during the 85% eclipse but, alas, it wasn't meant to be. On the plus side: from now on the days will be longer than the nights - yeah!!! And: Hyde Street is open again - what a relief! Since the last News Roundup we had two events organised by the Hampshire and Isle of Wight Wildlfe Trust (HIWWT), one was river dipping at the stream and one was looking for insects and plants on the Abbotts Walk Meadow. Rachel Remnant (the Winnall Moors Reserves Officer) sent this to me afterwards: "People may be interested to know that in the meadow survey and bug hunt we recorded the following meadow plants: Ox eye daisy, ribwort plantain, scabious, salad burnett, knapweed, sheep’s fescue, yarrow, wild carrot, hawkbit, red clover, white cloverand Yorkshire fog, so come May and June the mead will be full of colour and buzzing with life!" I believe all of the participants enjoyed these events immensely! There might be more over the summer when local wildlife is more active. 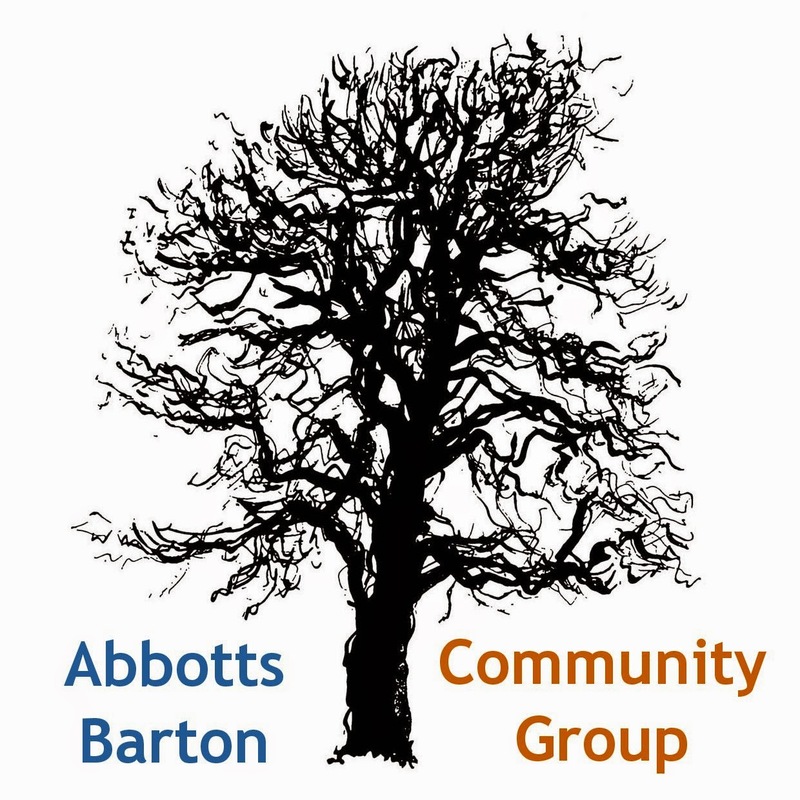 What do you think about an Easter Egg Hunt for Abbotts Barton? While we had some people say on the Facebook Forum that they would help running it, I haven't actually seen many people saying they would like to take part in it. Please pipe up if you think you will be around for Easter - now is your chance! If you would like to take part, please leave a comment with your preferred day (Easter Sunday or Easter Monday). Thank you! If you would like to help the community group with a little of your time, please take a look at our new page about how to Get Involved. Being a volunteer for a community group is great as you get to know more people in your neighbourhood and of course it gives you a sense of accomplishment! We would like to thank Winchester City Council (WCC) for installing the lovely new notice boards for us, and I am very happy to report that we have volunteers to look after them! We would also like to thank Hampshire County Council for a grant to help us with organising our events this year! The boundary between the meadow and the public footpath along the Winnall Moors Nature Reserve - not everybody is happy with there being no access to the path but it was always a planning condition for the development. Please note, in our last Councillor's Surgery report we wrote about "the fence which Winchester Wildlife Trust are proposing to erect at the bottom of the Abbotts Walk field." Rachel Remnant (HIWWT's Winnall Moors Reserve Officer) commented on the post saying "just to clarify, the Hampshire and Isle of Wildlife Trust are not erecting a fence on the eastern side of the Abbotts Walk mead. The City Council is responsible for ensuring the developer has carried out all parts of their work set out in the planning process. There is no access from or to the green space to the footpath. There should be a robust, planted boundary along the eastern edge and this already includes a fence." Abbotts Walk Meadow - planned transition from Redrow to WCC and then possibly to be managed by HIWWT. There are many questions about how HIWWT would go about managing the meadow and how that would affect the locals being able to access it. These will have to be answered when it comes to deciding who should best manage the meadow. Abbotts Walk play area - there are some concerns that this might never appear but according to WCC there has been some s.106 money set aside and it can only be spent for this purpose. What could be done for example is a circular path around the meadow with natural play installations along that path. The infiltration basin (or the 'pond' as it has become to be known) - some people are concerned about the safety of this feature for children as it remained full of water for most of 2014. Maintenance of other open spaces in Abbotts Walk - mowing of the green areas between the houses. You can find more about this on the website www.abbottswalk.com which is run by an Abbotts Walk resident. For parents of younger children this will be nice to hear: Winchester playgrounds set for £500,000 makeover (from Hampshire Chronicle). However, older children are still waiting for the multi-games area to be reappear near the Leisure Centre. Raising the Roof from Winchester Cathedral on Vimeo. Make sure you know about Changes for Older Person's bus pass holders from 1 April (info from HCC). Bus station closure warning over Silver Hill, this one also mentions a new action group: ‘Hold the Officers to Account’! Bus station and affordable flats back on Silver Hill agenda? 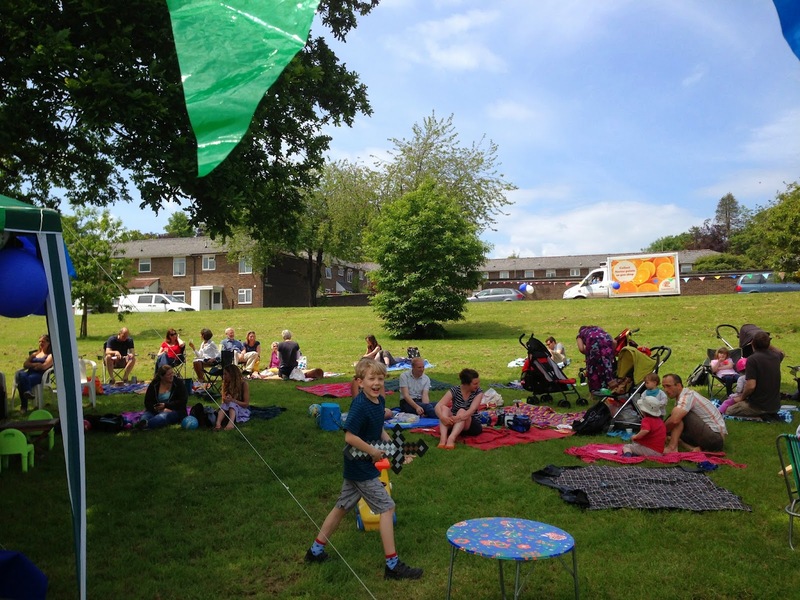 If you would like to know how the Local Plan 2 is progressing, the Save The Parks website posted this update (based on the Parish Connect newsletter).